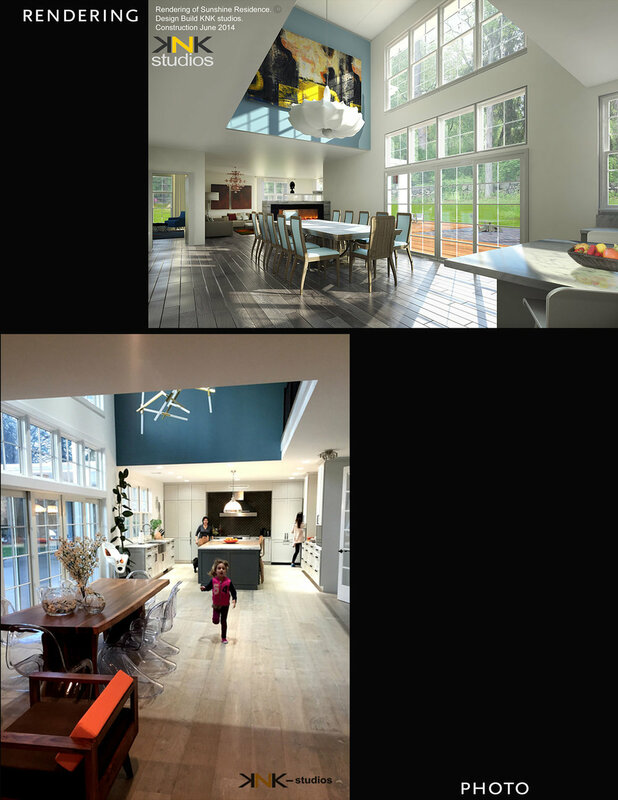 Below are some examples of our renderings and the photos taken when the project is completed. We are very excited when the computer renderings get created early on the process, but the quality and results of the completed project, gives us the greatest satisfaction. The warm weather is finally here! The Sunshine Residence is getting close to completion. The design of the large multi level deck and the covered porch, extend the living area to the outdoors, so the family can enjoy the sunny days under the shade, and entertained friends and family on the large deck , while watching the little ones play on the backyard. These are some photos of the master bathroom of 3K house. Double sink vanity. Custom built cabinets. Two people tub, and showers. Two people shower and wall mounted "Duravit " toilet and Washlet. 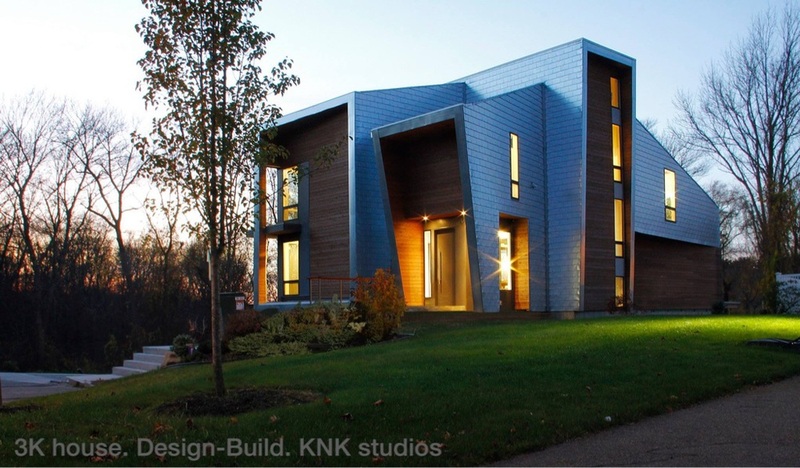 The sunset and fall colors, were a beautiful setting for the latest picture of 3K house.